May 7th the metal world was shocked at the news that As I Lay Dying frontman Tim Lambesis had been arrested on suspicion of solicitation of murder charges for allegedly trying to hire a hitman to kill his estranged wife. Lambesis’ bandmates have issued a statement to their fans in regard to the arrest. As reported, Lambesis was arrested yesterday in Oceanside, Calif., after he allegedly tried to hire an undercover detective to murder his wife Meggan, who filed for divorce from the metalcore singer back in September 2012. 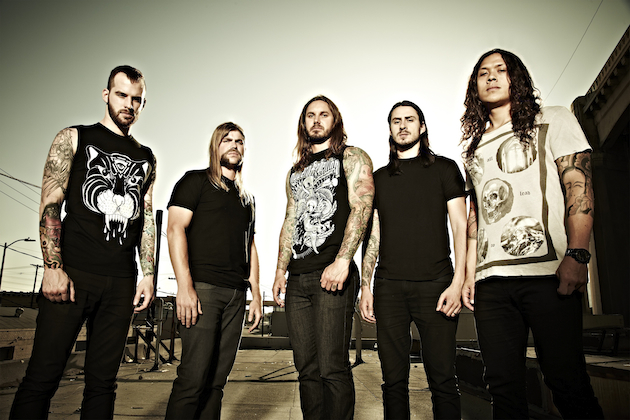 Lambesis was booked at San Diego county’s Vista Jail and is expected to be arraigned Thursday (May 9) at 1:30PM PT. As we post this, the legal process is taking its course and we have no more information than you do. There are many unanswered questions, and the situation will become clearer in the coming days and weeks. We’ll keep you informed as best we can.